San Francisco, California-Dr. Delgado was selected by Haute MD to join their prestigious directory of top physicians. Haute MD is an upscale internet publication with informative stories on the latest health and beauty trends. The online publication offers readers access to premiere cosmetic specialists around the country. Due to his exceptional reputation and skills, Haute MD has featured Dr. Delgado as their newest member as a specialist in plastic surgery for the body, including such procedures as; breast augmentation, breast revision, tummy tuck, mommy makeover and gynecomastia or male breast reduction. Besides having a directory for top physicians, Haute MD also gives the readers a detailed profile of the doctor’s with before and after pictures of actual patients, videos the doctors may have produced and patient testimonials. Posted in breast augmentation, Breast augmentation recovery, Breast revision implants, Home | Comments Off on Why is Massage Necessary After Breast Augmentation? Many San Francisco Bay Area women have asked about the potential of breast augmentation by fat injections. Breast augmentation by use of the body’s own fat has been around since the 1980’s. But augmentation by fat grafts has multiple side effects, such as tissue scarring, calcification and oil cysts. 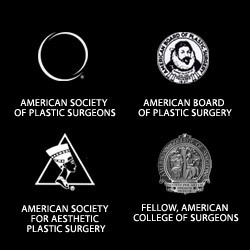 The American Society for Aesthetic Plastic Surgery (ASAPS) and the American Society of Plastic Surgeons (ASPS) caution its members against the technique. 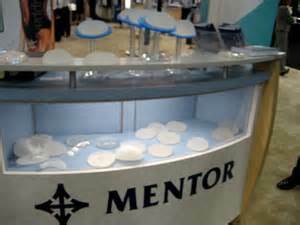 According to one study of 48 women who had autologous fat injections for breast enhancement between 1999 and 2009, eight of the women’s mammograms showed “clustered micro calcification”. Micro calcifications can be regarded as highly suspicious for breast cancer. 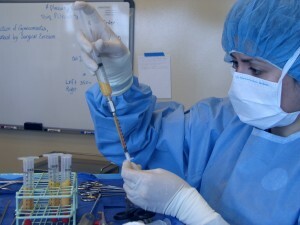 Biopsies showed no presence of cancer but the necroses of the fat cells are indistinguishable from abnormalities associated with breast cancer. The new generation of mammography, in particular digital mammography seems to be better in distinguishing cancer cells from benign ones in dense breast tissue. The method for harvesting and injection has improved greatly over the years, which may increase the survival rate of fat cells, but equally important is the skill and experience of the surgeon. But a debate continues on how long these fat cells will last. Frequently they do not survive and may be absorbed by the body or become liquid and form a cyst that can mimic or obscure breast cancer. To have breast enlargement by fat transfer takes several sessions making for an expensive treatment and usually will only increase breast size by up to one cup. Recovery is longer than with traditional breast augmentation with saline or silicone implants. The final result will not be evident for about six months, whereas with implants about six weeks. At this time fat grafting is an accepted procedure for facial and hand rejuvenation, and corrective breast surgery for breast defects or reconstruction. The societies (ASAPS and ASPS) do not recommend fat injections for breast augmentation until there is more clinical evidence that documents safety and efficacy. Revisional breast surgery or breast augmentation redo, is one of the most common procedures performed after breast augmentation. Almost 100% of women undergoing breast augmentation will require a revisional breast surgery during some point in their life. This may take the form of replacement due to breast contraction or hardening, deflation or slow leakage; mound position of the breast implant or a change in shape of the breast after pregnancy. The art of revisional surgery requires much breast surgery experience since this is a corrective procedure. Due to the amount of scarred tissue that is present and the issues that require revision breast surgery, choosing a surgeon initially with great experience and confidence is critical.